Bill Bluhm retired in 2013 as a Principal and Consulting Actuary with Milliman in Minnesota after a successful, nearly four decades long career as an actuary. Now he owns and operates Dancing Dragonfly Winery, a thriving vineyard and winemaking operation in northwest Wisconsin. We spoke to Bill recently about his remarkable second calling and how a Health actuary became a winemaker. ACTEX Learning (AL): How long was your career as an actuary and what area did you focus on during your career? Bill Bluhm (BB): I started as an actuarial student in January, 1976, in Manhattan. I changed jobs in late 1977, to become a health regulator working at the New York State Insurance Department, in Albany. That was when I became a specialist in health insurance, which is where I stayed until I retired, in early 2013. Thirty-seven years in the profession. AL: Where did you get the idea to start winemaking? BB: I kind of stumbled into it. I was retiring from my consulting firm, where I had built a number of businesses that I was exiting. I felt that I still had some entrepreneurial energy in me, plus a lot of business know-how that would otherwise go to waste. (Plus, my wife was having some health challenges at the time, and I had a whole lot of nervous energy.) I've always enjoyed wine, and love the challenge of a new industry. AL: Did you have any experience in this industry before starting to plant your first vines? AL: We read that you started with planting few vines in a friend's backyard. How did that small venture develop into a full blown vineyard and business? BB: I had a friend who had six vines planted in his backyard, who suggested we jointly find a plot of land to plant more. In my usual way, I kept talking myself into scaling upward, in order to make the investment more balanced. One acre of land wasn't available, but 60 acres were. And if you are growing grapes, wouldn't it be natural to make the wine? And if you're building a winery, you need a tasting room. If you have a tasting room, people will want to come to the winery for events like weddings, so you'll need an event center. Etc. AL: What new skills have you had to learn as a vineyard proprietor? BB: This is an amazingly vertically integrated business. I am a farmer (growing grapes), a manufacturer (making wine), a retailer (in our tasting room), a wholesaler (to liquor stores, restaurants, and other retailers), and in the hospitality business (for our festivals and other events, and for weddings.) All my prior business experience was cerebral-- managing health insurance and its support products, like software products. Not a bit of experience with growing, making, or selling actual things. AL: Do any of your actuarial or consulting skills come into play in this second career / business? BB: To some extent. We have a strong need for predictive models, for example. To look at it from an extreme point of view, the planning cycle starts when you put a vine in the ground. It is five years until it starts yielding grapes. Then it's another 1-2 years before those grapes can be released as wine. We must essentially predict our sales seven years in the future-- in a business where we started three years ago and have no real data. Data analysis is another area where these skills come in handy. Impacting business processes is no different from any other company; there is just different emphasis on some aspects. We constantly analyze our sales data, to understand what sells and what doesn't, and what's profitable and what's not. AL: Do you have any new varieties of wines you are working on? BB: We have made roughly twenty wine blends over our first three years. Many of them have won awards, but yet I believe we can constantly improve on what we've done. At the same time, we only have one winemaker (who develops a tic when I say "I just thought of a new idea for a wine"), who has limited time. So we'll have to make some decisions as time goes on. AL: How do you stay connected to the actuarial community? BB: I have quite a few friends I still stay in contact with, and I've maintained my membership in the Academy and the Conference of Consulting Actuaries, both of whom have retiree-friendly categories of membership for this purpose. I make a trip to one of their annual meetings every year or so, and catch up with many old friends. AL: Do you travel to other areas of the country or world to visit vineyards and wineries? BB: I learned an important lesson from another retired actuary, Bill Halvorson. When Bill retired, he had an investment advisory business, and I remember him telling us about traveling to other countries to visit their stock exchanges. I do not claim to know even a little bit of Bill's rationale, but I remember thinking "what a brilliant way to make your trips deductible." I like to think that I have learned from my predecessor, and am able to do so. Generally, when on a trip, we do try to visit wineries wherever we go. Interestingly, there is widespread hospitality toward others in the wine industry, and when we visit other places, they usually go out of their way to provide us special treatment in their tasting rooms or in a tour of their facilities. AL: What do you enjoy most about being a part of the wine industry? BB: Probably the most fun part is when people ask me "what do you do?" I used to say, "I'm a consulting actuary," and they would usually get a confused or blank look on their face as they tried to figure out what to say next. Now I say, "I own a winery," and they immediately smile broadly and want to know all about it. I urge my colleagues to consider a similar path. It's fun. But don't forget the old adage: "Know how to make a small fortune in the winemaking business? Start with a LARGE fortune." 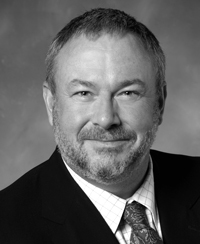 Bill Bluhm is the Founding Editor of ACTEX's Group Insurance textbook. The 7th edition of Group Insurance was published in 2016. In " Actuarial Career, Excel, Notable Actuaries, Webinar "
In " career, Actuaries Around the World "